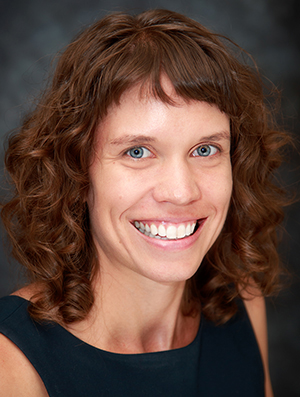 Katie Loth, PhD, MPH, joined the University of Minnesota Department of Family Medicine and Community Health research faculty in 2015. Her research explores social and environmental influences on child and adolescent weight status and disordered eating behaviors. Specifically, she is interested in identifying ways that parents can work to help their children develop and maintain a healthy weight and a healthy relationship with their bodies. Loth is also a dietician and will see patients in clinic and help train residents. Berge JM, MacLehose RF, Meyer C, Didericksen K, Loth KA, Neumark-Sztainer D. He said, she said: examining parental concordance on home environment factors and adolescent health behaviors and weight status. J Acad Nutr Diet. 2016;116(1):46-60. Loth KA. Nutritional data systems for research. In: Wade T, ed. Encyclopedia of Feeding and Eating Disorders. Springer Singapore; 2015. http://link.springer.com/referenceworkentry/10.1007/978-981-287-087-2_6-1. Accessed January 4, 2016. Loth KA. Obesity prevention and its impact on eating disorders. In: Wade T, ed. Encyclopedia of Feeding and Eating Disorders. Singapore: Springer Science+Business Media Singapore. 2015. http://link.springer.com/referenceworkentry/10.1007/978-981-287-087-2_153-1. Accessed January 4, 2016. Pacanowski CR, Loth KA, Hannan PJ, Linde JA, Neumark-Sztainer DR. Self-weighing throughout adolescence and young adulthood: implications for well-being. J Nutr Educ Behav. 2015;47(6):506-515. Berge JM, Meyer CS, Loth K, MacLehose R, Neumark-Sztainer D. Parent/adolescent weight status concordance and parent feeding practices. Pediatrics. 2015;136(3):e591-8.